Hostos is celebrating 50 Years!! Eugenio María de Hostos Community College of The City University of New York is celebrating its 50th anniversary this year! Arising from a community's needs, Hostos is like no other educational institution on the East Coast. No one thought this college would make it, but it did. It's weathered bad times, celebrated good times, and remains firmly committed to its roots in the South Bronx. Many things have changed since 1968---but not the power of a good story. The men and women who helped make Hostos a reality and those who keep the dream alive today have a wealth of stories to tell. The Hostos Oral Collective currently features the testimony of more than 100 people, reflecting the experiences of alumni, community members, faculty, former College presidents, friends, staff and students from the past half-century. Hear history in the making! 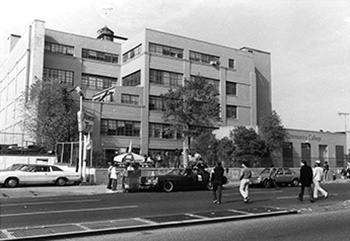 Eugenio María de Hostos Community College was created by an act of the Board of Higher Education on April 22, 1968, in response to the demands of Puerto Rican and other Hispanic leaders who urged the establishment of a college to meet the needs of the South Bronx. 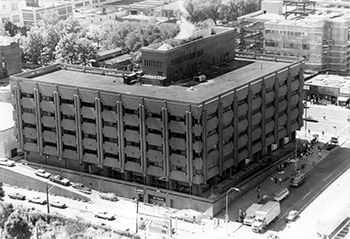 In September of 1970, the college admitted a charter class of 623 students at 475 Grand Concourse, a five-story building on the southwest corner of East 149th Street and the Grand Concourse that was once a tire factory. 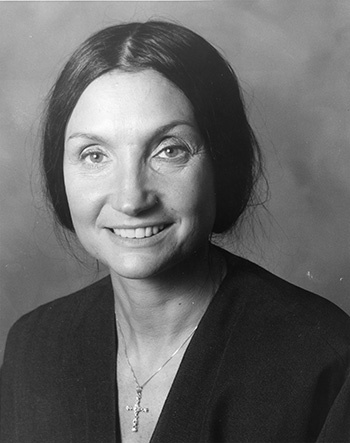 Enrollment grew rapidly to more than 2,000 students by June of 1974. 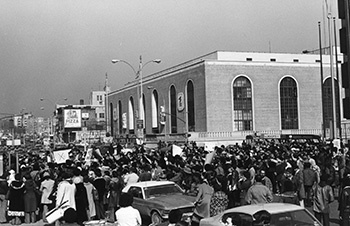 In the same year, as a result of a mobilization of the Hostos community, the State Legislature acted to ease an increasing space shortage by passing a special bill to acquire the *500 Building* across from the original site. Also in the same year, Hostos was granted full and unconditional accreditation following a highly favorable evaluation by the Middle States Commission on Higher Education. 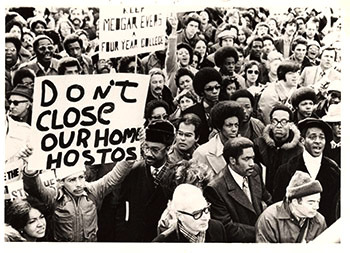 The fiscal crisis of the mid- 1970’s resulted in an effort to merge Hostos with another institution as a cost-saving measure. 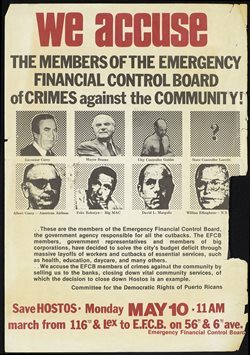 This effort was rejected by a year-long struggle to Save Hostos that joined the Hostos community with the Latino community citywide, which succeeded in compelling the Board of Higher Education to rescind its resolution merging Hostos with Bronx Community College and secure Hostos’ existence by including the college in the Landes Higher Education Act, passed on June 9, 1976. The impact of Eugenio María de Hostos Community College on the people of the South Bronx cannot be underestimated. 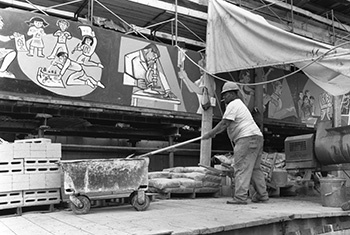 Since 1970, it has served as a center to the predominantly Latino community surrounding it. 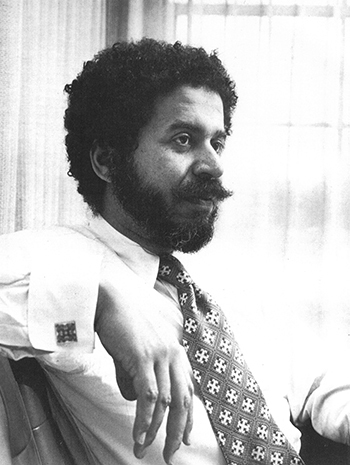 The institutional mission of Hostos Community College was based on the work and contribution of an intellectual giant—Eugenio María de Hostos. Widely known throughout Latin America as a humanitarian, Hostos was a strong advocate of civic reforms. He wanted knowledge and freedom for his own people and for all the people of the world. As the first college in the United States to bear his name, we strive for no less. We are his posterity, and in and through us the work of Hostos lives on. A Puerto Rican educator, writer and patriot, Eugenio María de Hostos was born in 1839 in Río Cañas, Mayagüez. 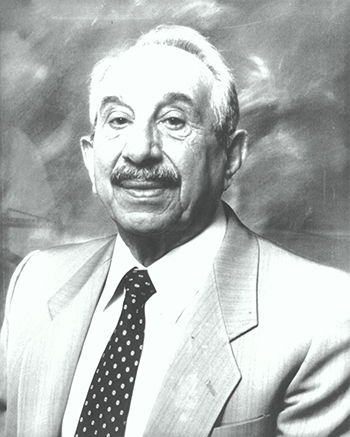 Hostos attended school in Mayagüez and San Juan and studied law in Spain where he fought to liberalize Spain’s colonial rule of Cuba and Puerto Rico. He opposed all forms of slavery and fought arduously to abolish slavery in Cuba and Puerto Rico. In 1869, he left Madrid for New York City where he joined other exiles in the struggle for the liberation of Cuba and Puerto Rico. Hostos was a man who dedicated his life to progress, education and justice--passionately committed to human rights and personal dignity. He vigorously championed reforms in politics, law, social mores and education. His extensive travels throughout the United States, Europe, Latin America and the Caribbean provided him first hand contact with the social and economic injustice and struggles taking place in many countries. His wide range of literary formats-books, newspaper articles, plays, speeches, and letters –provided a stage to disseminate his ideas and ideals to people on both continents. He fought against colonialism and slavery, endeavored gain for the independence of Cuba and Puerto Rico, and became a vigorous advocate for an Antillean Confederation. Hostos was also Latin America’s first scientific sociologist and an early champion of inclusiveness. He denounced the exploitation of the Chinese indentured servants in Perú, and became a strong advocate for women’s educational rights. Eugenio María de Hostos’s work and ideas have influenced the intellectual discourse of Latin America for more than 125 years, making a tremendous contribution to Caribbean identity, culture and political development. He died in Santo Domingo, Dominican Republic on August 11, 1903. He is buried in the Panteón Nacional de la Patria in the colonial district of Santo Domingo. Per his wishes, his remains shall stay in Dominican Republic until his Puerto Rico is an independent Republic. Board of Higher Education approves the establishment of Community College Number Eight. Nasry Michelen appointed the first president of the College. Hostos opens its doors to charter class of 623. The campaign for the "500 Building" begins. Rallies held at Board and in Albany. University announces plan to merge Hostos with Bronx Community College. Board approves proposal to merge. The State Legislature passes “Landes Act,” which guarantees the existence of Hostos. Board of Higher Education formally founds college. Cándido de León appointed first dean of administration and proposes organization of the College. College is named after Eugenio María de Hostos, making it the first college in the continental United States so honoring a Puerto Rican. De León’s proposal adopted by Board. Cándido de León appointed president, thus becoming the first Puerto Rican to head an institution of higher learning in the U.S.
Bilingual approach to instruction is in place. "500 Building" acquired through special legislation passed in Albany. College granted full and unconditional accreditation by Commission on Higher Education. City's fiscal crisis worsens. 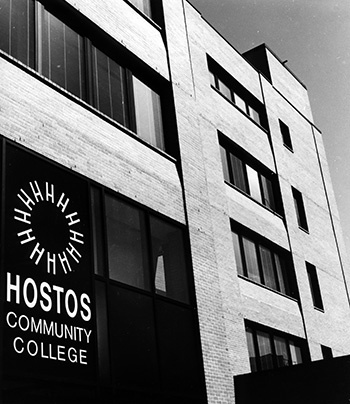 Rumors of the merger of Hostos with Bronx Community College begin to circulate. College begins to mobilize. 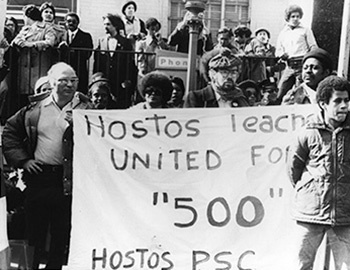 Enrollment at record level, College Community resumes campaign for “500 Building.” Hostos United is founded. 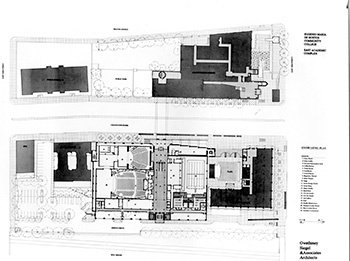 Peaceful 3-month take-over of B-building; leads to 1986 Master Plan. Reorganization plan approved by the Board of Trustees. Hostos accreditation is fully and unconditionally reaffirmed. Planning council formed. Reorganization of student services begins. College begins to move into "500 Building." Hostos Day Care Center officially opens. Announcement that $150,000,000 campus will be built, including and arts center, gymnasium, science building and bridge across the Grand Concourse. 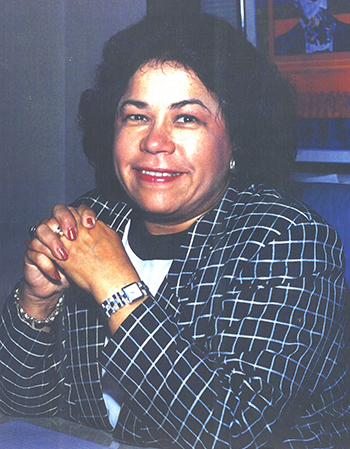 Dr. Isaura Santiago appointed President of Hostos Community College. Mayor approves bond sale for renovation of building. Dr. Flora Mancuso Edwards appointed president. Reorganzation of Academic Division begins. 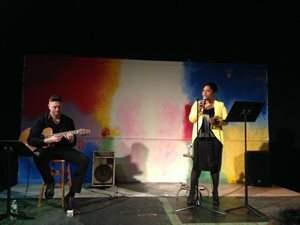 Hostos Culture and Arts Program begins its first season. 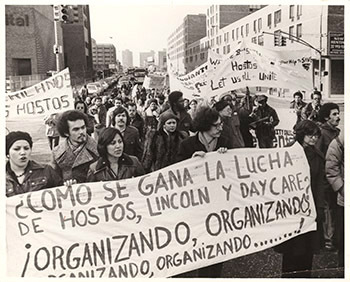 Hostos Solidarity Coalition formed to coordinate progressive political activity. 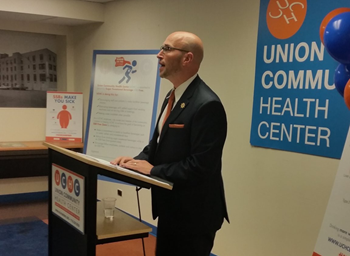 Committee to defend Hostos successfully fights to prevent major cuts in budget. Construction begins on new campus. Dedication of the Shirley J. Hinds Allied Health and Science Building. Students begin attending classes in a section of the East Academic Complex. First student graduation committee created. Borough President Fernando Ferrer provides support for the theaters in the East Academic Complex and the Allied Health and Science Building. 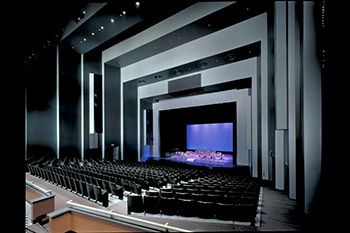 Opening of the East Academic Complex and the Center for the Arts & Culture. 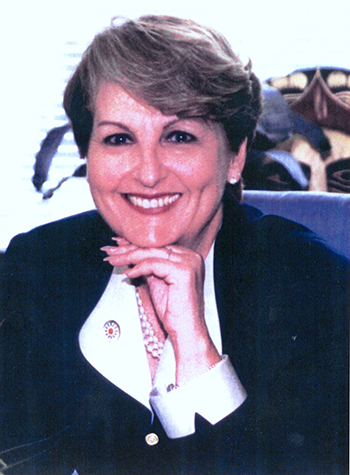 Dr. Dolores Fernández appointed President of Hostos Community College. Hostos Center for Arts & Culture receives award from Municipal Art Society of NY for excellence in programming and science. Men's basketball team wins NJCAA National Division III Championship. Hostos College library is recognized nationally when it is awarded the “Excellence in Academic Libraries Award” by the Association of College and Research Libraries. National Endowment for the Humanities grants award for summer seminar for scholars at Hostos Community College: Visions of Freedom for the Americas: Eugenio María de Hostos and José Martí in 19th-Century New York. 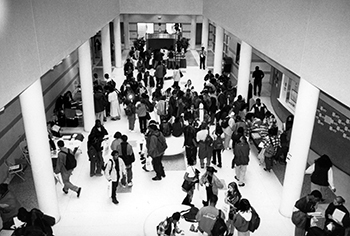 The “Hostos Renaissance,” a renewed commitment to rigorous careers and liberal arts programs. The “Hostos Age of Discovery,” new focus on making Hostos the pride of CUNY through a commitment to excellence. 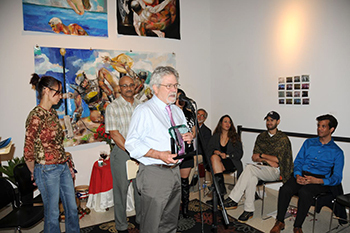 Hostos Center for the Arts and Culture receives a special recognition from the international Music Hall of Fame. Hostos Community College commemorates the 100th anniversary of Eugenio María de Hostos’s death and the 150th anniversary of José Mart´’s birthdate with a series of events titled Hostos and Martí in New York City. Since its founding in the Spring of 2007, The Circle of 100 Scholarship & Emergency Fund has awarded twenty-two $1,000 scholarships and forty five $500 or less emergency grants. The Circle of 100 makes these emergency grants and scholarships available to students with excellent academic records who are close to graduating and graduates who need some help in making the transition to a four-year college. The circle of 100 was founded by the late and beloved Virginia Paris, Professor emeritus Gerald Meyer and Nydia Edgecombe. Hostos Repertory Company wins two awards at Kennedy Center's American College Theater Festival. Wallace Edgecombe, also known as “Wally” retired after 38-years as Executive Director of the Hostos Center for Arts and Culture and being a leader of arts and culture in the Bronx. Division of Continuing Education & Workforce Development opens two new $1.4 million facility at the Bronx Terminal Market. CUNY in the Heights also moves into its new space in Manhattan. 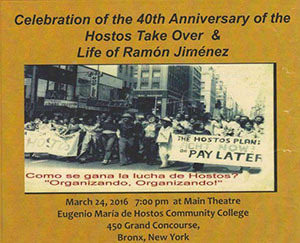 Hostos celebrates official 45th anniversary. College marks its birthday with large community service project, THE BIG EVENT. Hostos Repertory Company is the only community college from North America to perform at the Edinburgh Festival Fringe in Scotland. CUNY CareerPATH Community Health Worker Certificate Program sees first graduate to enter Hostos Community College. Hostos’ partnership with Montefiore Medical Center, the Department of Education and CUNY conceived the Health, Education, and Research Occupations (H.E.R.O) High School where a first cohort of 100 ninth graders began preparing for careers in nursing and community health workers. 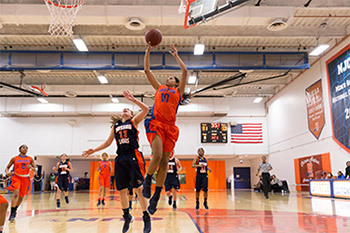 Caimans wins CUNYAC Regular Season title. Hostos Community College, Phipps Neighborhoods, and Montefiore Health System Announce $1M Grant from JPMorgan Chase to support their Career Network: Healthcare partnership in the South Bronx. Governor Andrew M. Cuomo announced that Hostos Community College would receive two grants—$2.2 million for an “Allied Health Training for Employment” initiative and part of $4.6 million for a new multi-campus media program— as part of Governor Cuomo’s CUNY 2020 initiative. Hostos named one of the Top 10 Finalists for the 2015 ASPEN Prize for Community College Excellence. Hostos receives $2.6 million Title V Grant Award from the United States Department of Education. 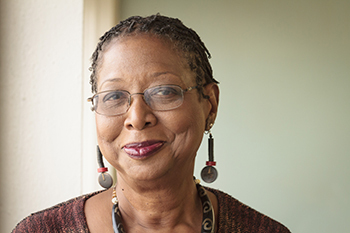 English Department Lecturer Cynthia Jones was selected as the 2014 New York State Professor of the Year by the Carnegie Foundation for the Advancement of Teaching and the Council for Advancement and Support of Education (CASE). 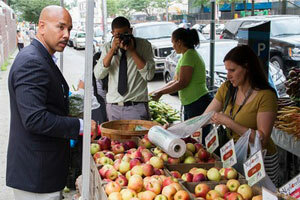 Hostos opens College's first large farmer's market with GrowNYC. Hostos Community College’s Division for Continuing Education and Workforce Development (CEWD) awarded a five-year, $10.7 million Health Profession Opportunity Grant (HPOG) from the U.S. Department of Health and Human Services’ Administration for Children and Families (ACF). Basketball coach Marquee Poole earned Community College Coach of the Year honors; Jefferson Francois, a forward on the men's basketball team won Player of the Year; and Corina Coles, a guard, earned Rookie of the year for her stellar play on the women's basketball team at CUNYAC Awards banquet. 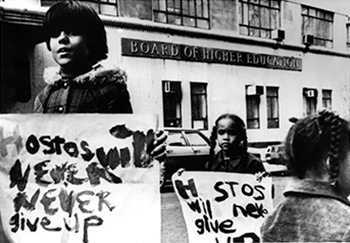 40th Anniversary of Campaign to Save Hostos Community College celebrated with the documentary, "Hostos, The Struggle, The Victory." 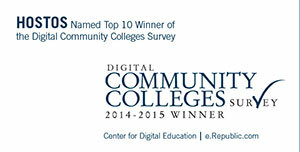 Hostos finishes 1st place in National Technology Survey. Acclaimed singer-songwriter Abby Dobson performs and speaks about her female influences at grand Women's History Month finale. Hostos and "Healthy Beverage Zone" gives the Borough better choices. Piece of Hostos Archive on Exhibit at The Museum of the City Of New York - A 1976 flyer from Hostos Professor Emeritus Dr. Gerald Meyer’s “Save Hostos” collection is on display as part of the Museum of the City of New York’s exhibit titled, “New York at Its Core.” It is also featured in a new book about the 1970s fiscal crisis in New York City. Ribbon cutting ceremony inaugurates a $9.1 million renovated and redesigned 5th Floor in the 500 Grand Concourse Building. National Science Foundation Awards Hostos more than $900,000 for STEM Projects. 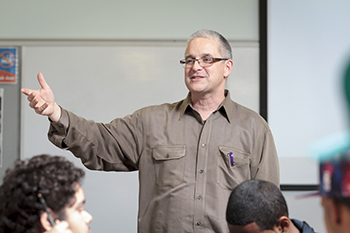 Hostos Professor Rees Shad named 2012 New York State Professor of the Year by the Carnegie Foundation for the Advancement of Teaching and the Council for Advancement and Support of Education (CASE). The Caiman's men's baskeball team enters Top 10 in NJCAA Division III rankings. U.S. 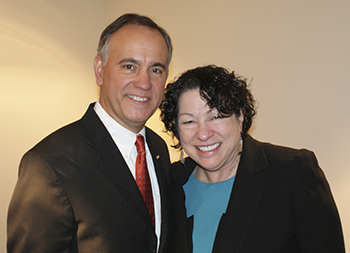 Associate Supreme Court Justice Sonia Sotomayor becomes the first guest of the Hostos Heritage Lecture Series. Other speakers included journalist Cheryl Willis, and Pulitzer Prize winner Junot Díaz. 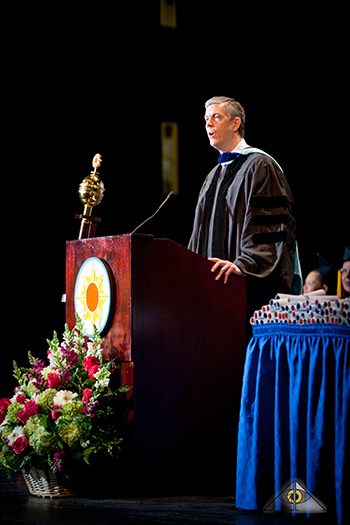 United States Secretary of Education Arne Duncan gives keynote address at the College’s largest commencement ceremony to date as Hostos confers a record number of 907 degrees in the New York City Center. 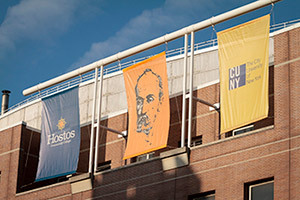 Hostos 175, a year-long commemoration of Eugenio María de Hostos 175th anniversary is held at the College, with numerous academic and artistic events. Hostos receives $100,000 grant award from Citi Community Development for a pilot program, “Summer Success 101: Student Financial Literacy and Retention Program. Hostos launches new Food Studies Program. Proyecto Access STEP third-place prize from the 16th Annual STEP Statewide Student Conference. Public Safety Director, Chief Arnaldo Bernabe received the 2014 Sloan Public Service Award by the Fund for The City of New York. Chief Bernabe was also the first Hostos Community College employee to win this award and the first CUNY-wide Public Safety Officer (in the civil service rank) to receive the honor. Internationally renowned artist Antonio Martorell, visits Hostos for its 175th celebration to give lecture, “Hostos By Us,” displaying a series of paintings, drawings, sculptures and other artwork represented who Eugenio María de Hostos was. 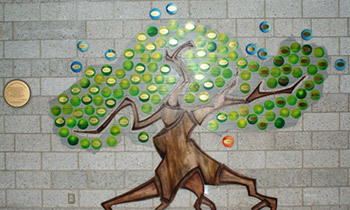 Hostos Unveils Portrait Painted By Famed Artist Pablo Marcano García. Hostos Center for the Arts and Culture Presents New York City premiere of the groundbreaking project, "Identities Are Changeable," by MacArthur Fellow and internally renowned saxophonist/composer Miguel Zenón. 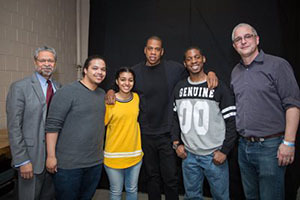 Shawn "Jay Z" Carter Visits Hostos to Talk About the State of Music Industry. 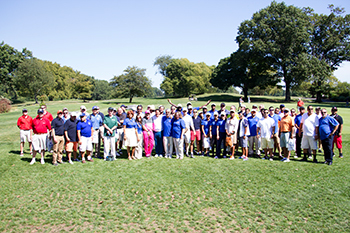 Hostos celebrates diamond anniversary of its Annual Golf Outing. 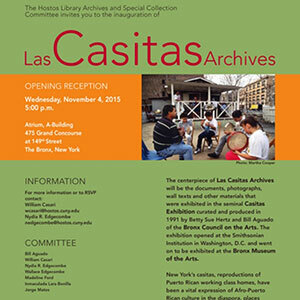 Hostos event celebrates the preservation of local history through Las Casitas Archives. 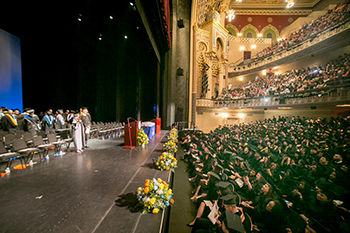 Hostos Community College graduates its largest graduating class to date. 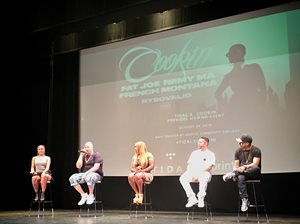 Rapper Fat Joe releases new video at Hostos. Hostos smashes #GivingTuesday fundraising goal (beginning at $7K ending $63K +).